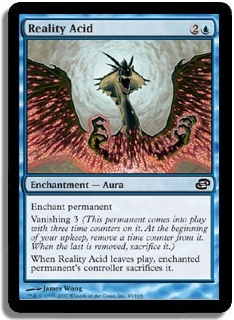 There is something about Ugin’s Construct isn’t there? Sort one today as i am watching Legend of Korra and it is amazing. Sometime this week i will knock out an updated burn list. Wow, Khans prerelease was nuts right? Not going to lie, i was not super pumped for Khans before Saturday. But now, i am ready to get my agro on. I went Mardu and was super pleased with my pool. Ended up in second “i think”, i ended up taking one round loss. Games 1 and 2 were not even close, i curved out into a flooded opponent, game 2 i had 4 solid removal spells and mana to cast them when my opponent was able to cast a big trample hexprof guy and was able to protect it the only turn i had enough power to block and take it down. Game 3 was one of those games where karma got me and i got stuck on 2 mana until turn 9 and that was a come into play tapped land even and was just too far behind at that point. Had i gotten that 3rd land anywhere near time think i would have won handily but that is Magic. Then i got to dust off my old EMT skills in round 4, i had just finished winning the match when a the match next to me says “think he is having a seizure, what do i do?” And i was able to jump to action. Thankfully, Gabe is doing fine. Okay lets jump to some deck thoughts and see what is rattling around in my noggin now that i have gotten to play with some of the cards. Yeah think there is a deck here. 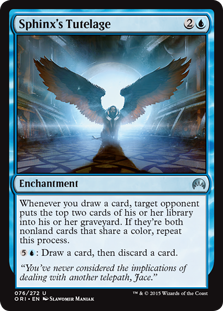 Work in blue for some counters and card draw/selection and some other burn and just wow. Here is the deal, Friday’s FNM was a M14 draft where i picked this guy up early in pack 2 after drafting 2 Juggernauts, 2 Ajani’s Pridemates, and a Staff or two. Have to say i really liked how this deck played and the engineer was always good. 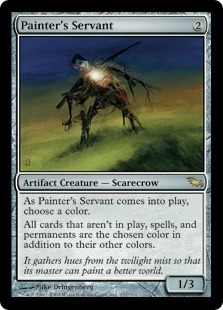 And do you know what beats a turn 3 Juggernaut in limited? Not a lot. I also had a lot of games won on t1, soul mender, t2 Engineer, t3, Pridemate Staff+land drop gain 2 life, t4 attack with a 5/5 followed up with some sick equipment like Brawler’s Plate or Hot Soup. Made for a some sweet blow outs and i will be exploring busted things to do with the Engineer in the future. Okay, lunch time see you all next week.